Diversified investment company, Chapmans (ASX:CHP), has this week revealed its first strategic investment in the burgeoning blockchain space. 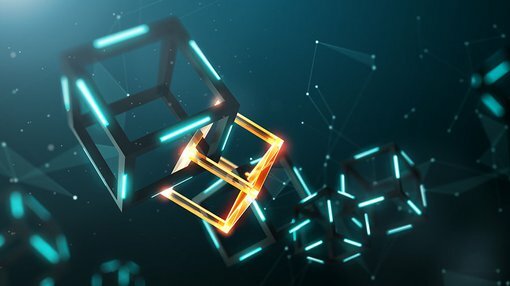 Blockchain is the underlying technology behind cryptocurrencies such as Bitcoin. The investment comes by way of a A$1 million participation in Reffind Limited’s (ASX:RFN) recent placement. This now makes Chapmans RFN’s largest shareholder, with a total holding of 9.33 per cent of shares issued. RFN has exposure to the thriving blockchain sector via its investment (announced today) in Loyyal Corporation, a global loyalty and rewards leader with exclusive performance-based territorial licensing rights to its blockchain platform. CHP’s strategic investment in RFN marks its first foray into blockchain technology, following the company’s early recognition of the sizeable potential for blockchain’s emergence across multiple global enterprise use cases and markets. Blockchain is a decentralised ledger of all cryptocurrency transactions. Among its key advantages are its trusted and immutable exchanges of data, such as customer data or units of value, such as cryptocurrencies, which are transparent to all parties with public or privately certified access. It is this technology that underpins digital currencies like Bitcoin, Litecoin and Ethereum, all of which have surged considerably in value in recent months. Bitcoin has risen some 1600 per cent over the last year, and now has a market capitalisation of US$500 billion. This month, Bitcoin futures began trading on Wall Street — clear testimony to its increased acceptance in the mainstream financial world. CHP’s blockchain investment strategy focuses on proven and compelling large-scale corporate and government blockchain technology adoption, with an emphasis on companies with experienced boards and executive teams, post-revenue status coupled with low entry point pricing, well-protected intellectual property, and significant capital growth upside. CHP participated in RFN’s placement on December 7, following which RFN issued 82.5 million ordinary shares to sophisticated investors using its existing capacity under section 7.1 and 7.1A of the Corporations Act (Commonwealth 2001). RFN’s investment in Loyyal, moreover, provides it with exclusive rights to Loyyal’s technology platform and product offering in agreed countries across the Asia Pacific region with certain performance-based terms. This, in turn, places RFN in an excellent position for significant growth through expansion of its existing rewards and recognition platform, WooBoard. With Deloitte and number of other Fortune 500 customer use cases already contracted and using Loyyal’s platform, CHP’s investments and product offering increasingly reflect the fundamentals of its blockchain investment strategy.